Choose from multiple express pass options so you can skip the lines at all attractions, or just your favorites! Keep the whole family happy with a day having fun instead of standing in long queues! 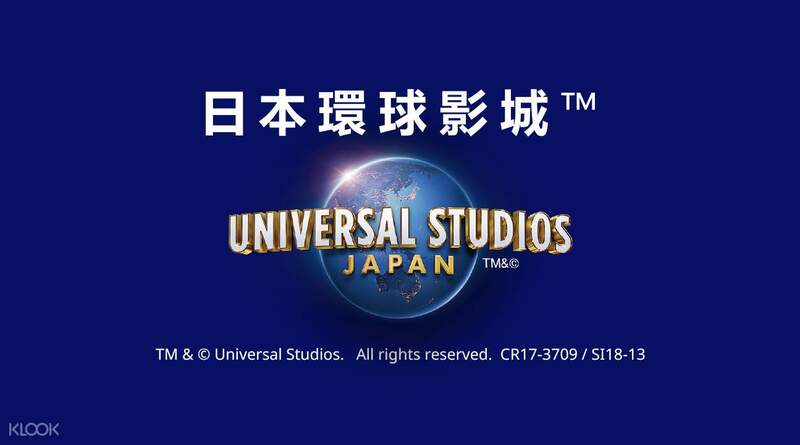 Use the Universal Studios Japan Express® Pass 4 on the best rides at Universal Studios like Harry Potter and the Forbidden Journey, Minion Mayhem, The Flying Dinosaur, The Amazing Adventures of Spider Man, and more! We recommend you purchase Universal Express® Pass 4 - Standard, which includes instant confirmation! Check out the Best Ride in Universal Studios Japan Guide to maximize the fun! I definitely recommend this express pass. The normal waiting time for each ride (especially the famous ones) is usually more than 60 minutes so this express pass really saves my time! It might seem a little bit pricey but it is really worth every cent. A and B attractions are time-designated, please visit them at the time printed on the ticket. Save time and have more fun at Universal Studios Japan with an Express® Pass! This pass is purchased separately from a park entry pass and allows you to skip the lines at the most popular rides and attractions inside Universal Studios Osaka at specific times. Choose from a variety of passes to skip the queue at every, some, or just your favorite rides and attractions. These passes work at popular USJ attractions such as Harry Potter and the Forbidden Journey, Flight of the Hippogriff, Despicable Me Minion Mayhem, The Flying Dinosaur, The Amazing Adventures of Spider Man, and more! This pass is perfect for families who want to spend the day having fun instead of waiting around on their feet! Make sure the kids remember the rides and not the waits on their visit to Universal Studios Japan. Book your Universal Studios Japan Express® Pass 4 today and enjoy four of your favorite rides and attractions at USJ! Book your USJ Pass now and skip the long lines for an extended fun adventure with the family! Please note: this is not a Universal Studios admission ticket, you must buy your admission ticket before entering the park. 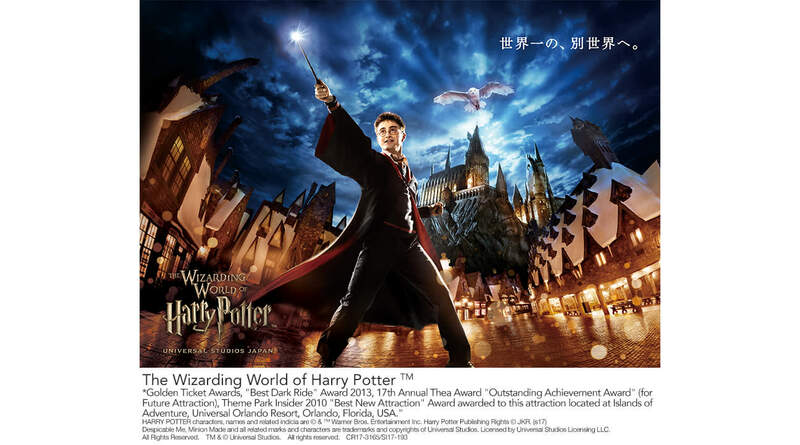 Get Universal Studios Japan tickets at a discounted rate from Klook! definitely a great pass to get if you wan to skip the queue. Even on weekdays, you have to queue for 70 - 110 mins for 1 game, but with the express pass, really save you a lot of waiting time and make the experience even greater. definitely a great pass to get if you wan to skip the queue. Even on weekdays, you have to queue for 70 - 110 mins for 1 game, but with the express pass, really save you a lot of waiting time and make the experience even greater. It is very pricy but you get your money's worth. The crowds were running at rope drop but we can be very chill since we don't have to worry about waiting long hours to ride. We also got to take great photos without photo bombers because all of them are rushing for the rides. It is very pricy but you get your money's worth. The crowds were running at rope drop but we can be very chill since we don't have to worry about waiting long hours to ride. We also got to take great photos without photo bombers because all of them are rushing for the rides. Worth every penny! I arrived late at about 10.30am but able to try all 4 express rides before 5pm (each ride is just 10min-20min for express). Additional 2 rides without express but waited for 1 hour or more which I realised how this express voucher has helped us to save a lot of waiting time, especially to Harry Potter forbidden land. Worth every penny! I arrived late at about 10.30am but able to try all 4 express rides before 5pm (each ride is just 10min-20min for express). Additional 2 rides without express but waited for 1 hour or more which I realised how this express voucher has helped us to save a lot of waiting time, especially to Harry Potter forbidden land. We had so much fun. Definitely worth it. We’ve been able to save time for the passes. The Harry Potter rides are a must. We’ve been able to ride the Harry Potter the forbidden journey ride, the Hollywood dream the ride backdrop, flying Dinosaur, jaws, adventures of spider man, and despicable me minion mayhem. In the morning, we had been able to get close encounters with the minions and witnessed their cute dance moves. On the way to the Jurassic area, we witnessed some amazing dinosaurs with their trainers. And at night we finished the night by watching the universal spectacle night parade. It was truly an amazing experience! We had so much fun. Definitely worth it. We’ve been able to save time for the passes. The Harry Potter rides are a must. We’ve been able to ride the Harry Potter the forbidden journey ride, the Hollywood dream the ride backdrop, flying Dinosaur, jaws, adventures of spider man, and despicable me minion mayhem. In the morning, we had been able to get close encounters with the minions and witnessed their cute dance moves. On the way to the Jurassic area, we witnessed some amazing dinosaurs with their trainers. And at night we finished the night by watching the universal spectacle night parade. It was truly an amazing experience! Lucky got this ticket then I can plan my trip easier, the date I was there already not pack, but some of the games still took over 200mins for waiting. With the express ticket I don’t need to worries for line up for some of the games. Harry Potter one was full of fun and same as minion. Also the spider man, the backdraft is a bit boring at the beginning as I have no idea what they said, but at the end was great, I will suggest not waste the express quota on this one, you don’t need to wait for too long to get in in the morning. Lucky got this ticket then I can plan my trip easier, the date I was there already not pack, but some of the games still took over 200mins for waiting. With the express ticket I don’t need to worries for line up for some of the games. Harry Potter one was full of fun and same as minion. Also the spider man, the backdraft is a bit boring at the beginning as I have no idea what they said, but at the end was great, I will suggest not waste the express quota on this one, you don’t need to wait for too long to get in in the morning. My favorite Universal Studios would be USJ because of the Wizarding World of Harry Potter of course. I think 80 percent of our time was spent at Hogwarts and Hogsmeade area. I looooved eating the Great Feast at the Dining Hall and definitely loved the Butterbeer. My favorite Universal Studios would be USJ because of the Wizarding World of Harry Potter of course. I think 80 percent of our time was spent at Hogwarts and Hogsmeade area. I looooved eating the Great Feast at the Dining Hall and definitely loved the Butterbeer. Super worth it! Managed to take all the rides in USJ in a day with the help of the express pass. Just scan the QR code in the voucher and off you go into the express queue. Flying dinosaur had a wait of 5-10mins for express queue, for harry potter there is no express “queue” but allowed you to cut through to the start of the queue. Other than that, other rides had no waiting time. Super worth it! Managed to take all the rides in USJ in a day with the help of the express pass. Just scan the QR code in the voucher and off you go into the express queue. Flying dinosaur had a wait of 5-10mins for express queue, for harry potter there is no express “queue” but allowed you to cut through to the start of the queue. Other than that, other rides had no waiting time. A: USJ has a dynamic pricing policy for their Express Pass to manage crowd sizes on different days. The daily prices of the Express Pass will fluctuate based on pricing policies (take express 4 for example) listed on the official USJ website (only available in Japanese).